Clothes Encounters is a friendly, clean, family owned place to do your laundry. Our customers tell us they have "loads" of fun while doing their laundry with us! We provide excellent customer service with a smil, and we do our absolute best to make you feel completely at home. Clothes Encounters Laudromat is conveniently located at 116 Jackson Avenue, Rutherford, New Jersey. 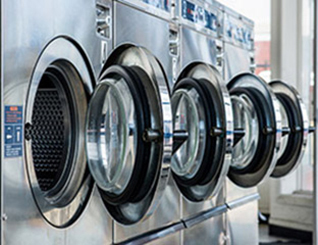 Clothes Encounters serves local Bergen County New Jersey neighborhood towns such as Carlstadt, Rutherford, East Rutherford, Lyndhurst, Wood-Ridge, Hasbrouck Heights, North Arlington and Wallington with the laundry services shown below. Laundry Pick Up and Delivery - perfect for when you can't get out.